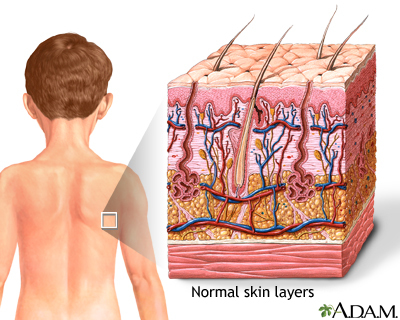 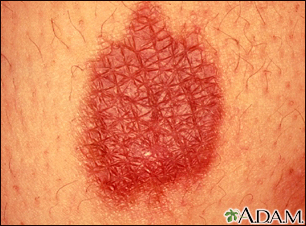 Mild, or first degree burns cause only reddening of the epidermis (outer layer of the skin), as seen in this photograph. 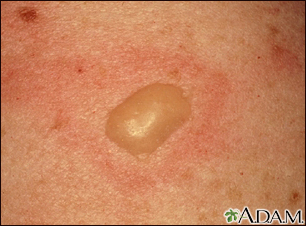 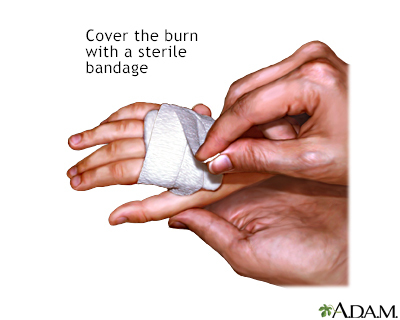 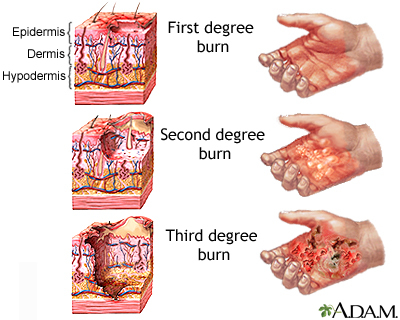 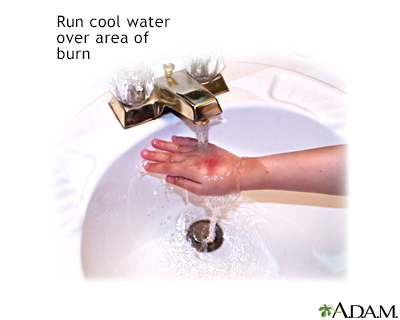 Second degree burns cause blistering and extend into the dermis (lower layer of skin). 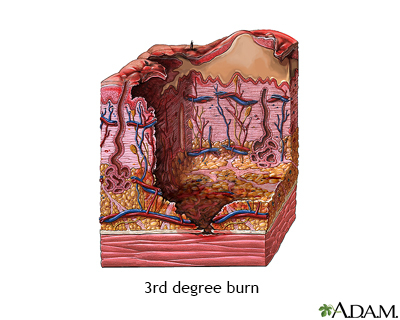 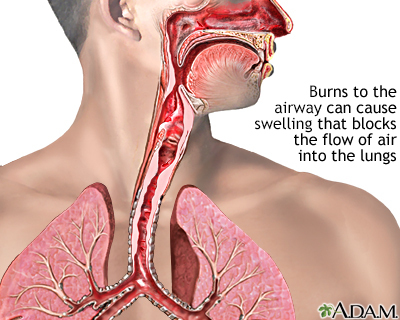 Third degree burns cause tissue death through the dermis and affect underlying tissues. 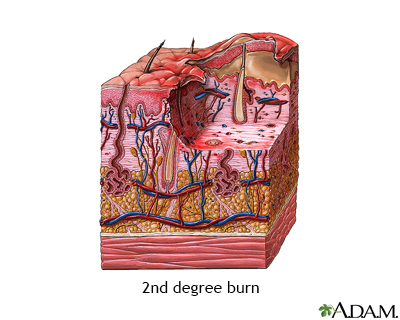 Second-degree burns affect both the outer and underlying layer of the skin, causing pain, redness, swelling, and blistering. 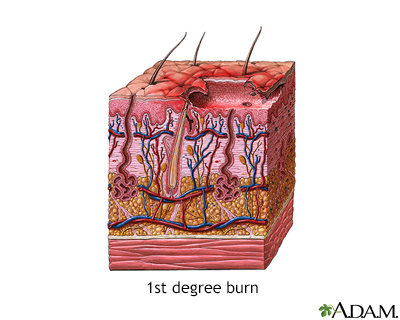 Third-degree burns extend into deeper tissues, causing brown or blackened skin that may be numb.